16 Personal Finance Principles Every Investor Should Know aims to reorient the way in which people perceive money management. With the help of simple stories and parables, it changes your perception of money management from a complex chore that only financial wizards can master to a simple, commonsense exercise that you can easily undertake. Every chapter in this book is based on personal finance principles, which when applied can make your financial life full of power, freedom and abundance. It is not written to engage a discerning reader or show-case the authors knowledge; this book is written to help you take action in your financial life. 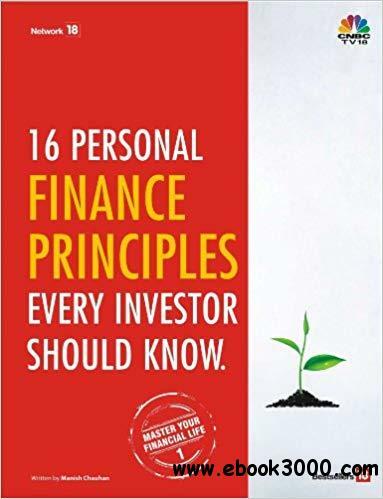 16 Personal Finance Principles Every Investor Should Know is a veritable manual or guide on how to live an extraordinary financial life. It will show you exactly how to change your relationship with money and make your financial life simple; it will help you to understand the guiding principles of personal finance and bring about a change in your financial situation; it will guide you towards making your financial life more organized. In a nutshell, it will help you shift gears and start on an exciting journey of wealth creation the only plea that runs through the book is that you must take action!